The Junior Miner Junkie, David Erfle is with us today to discuss the breakout in gold and the continued weakness in the USD. It was interesting to see gold breakout on options expiration day yesterday. As for the dollar it dropped below 92 points. We are closely watching the weekly close this week to see if these breakouts/breakdown hold. There is no free market in gold, even if its “price” is determined on the COMEX. Asian demand continues apace. That is what ultimately determines the direction of price, regardless of the machinations of the Fed., Goldman, etc. I agree with Mr. Erfle with regard to incipient inflation. The Bankers Have the Hammer ready Car-full ! Holiday dressing before the long weekend. Its all about confidence. bankers are going to have a field day on the repos…….. This will be a “Harry” situation……. Osisko Mining Inc. has entered into an agreement with a syndicate of underwriters led by Canaccord Genuity Corp. to complete a two-tranche private placement financing, on a bought deal basis, of an aggregate of 7,402,000 common shares of the corporation that will qualify as flow-through shares for aggregate gross proceeds of $50,008,950. The first tranche will consist of 5,773,000 flow-through shares at an issue price of $6.93 per flow-through share for gross proceeds of $40,006,890. The second tranche will consist of 1,629,000 flow-through shares at an issue price of $6.14 per flow-through share for gross proceeds of $10,002,060. I do not understand the pricing of the second Tranche, CFS. Interesting change beginning in July………? Novo’s unloved JV partner should get bought out when the nugget farmers get moving. 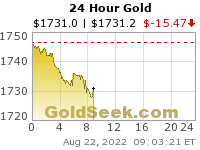 Looks like gold below $1307……. Platinum to glut the market, in a muddy mess and a pipe dream……. The metals closed down but the miners closed up. When the metals closed down a month ago, the miners closed way down. Gold has outperformed the miners by a wide margin all year but that leadership is now reversing. I agree, but I thought I would throw out some negative vibes just so that I can prevent myself from getting my hopes up. lol. dollar is headed to 89. had the target last year.. early. Also, he’s correct with that 1500 call for gold. It’s heading to 1550 and silver will see $26. After that, a global deflationary bust is going to wipe out the stock market and the precious metals market. Silver would be back at five dollars and gold at $500. The S&P 500 is going to get obliterated. That will be the time to load up on precious metals as that will be the new sector that enjoys a bull run. I’m more skeptical on this one…silver at $5!!! That could be a fun and profitable ride, if the world doesn’t fall apart en route. Same here. That’s not gonna happen. 89 is my short term target, too. 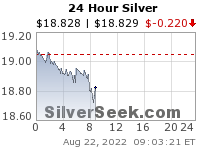 I could see the dollar dip into the high 80’s, but the comment about Silver going down to $5 seems more unlikely. Bix, on glencore, mark rich, jpm,goldman, ………….. HERE IS THE FULL ARTICLE…..
Carte Blanche to political scum? And that’s why the neocons on the right AND left love him. There’s a lot of amazement and wonder at how the “stock market” can be up today with the devastating news out of Texas and the latest North Korean missile launch. Longtime readers of TFMR know exactly how this market levitation is accomplished so this post is designed as a public service in order to better educate and inform everyone else. Looks like the direct and indirect death toll in Iraq over the past 26 years is about 3.2 million. Possibly as many as 3 million in Afghanistan. Who are the violent fanatics?? Pentagon still missing $8.6 Trillion, I have mentioned this so much I am getting wore out. Debt (which includes the dollar) is going to fall versus gold for a long time. Miners are gradually starting to play catch up. The miners priced in real money gives the truest picture and it is bullish. Excellent comments from David about base metals and inflation. So the metals backed off and the dollar climbed. To be expected I think in light of whats happened in the precious 48 hours. Is this backfilling or an early reversal? I would like to think the former but who knows for sure. Agreed Ozibatla – some back-filling was in order after the move up in the Precious Metals the last 2 days, but unless the US Dollar really gets some legs and charges upwards with some oomph, then I only expect it to to drop down a bit. The debt ceiling issue will keep a bit of pressure on the greenback until later this fall, but it is pretty beat down at this point. Silver has struggled with the 200 day moving avg throughout this year and has now traced back towards it. Lets see if it can stay afloat above this area? It would be constructive to see Silver hold up, consolidate at support, and keep on trucking. Currently at $17.41 isn’t that bad of spot for Silver for many of the miners. Most of them are getting down in the $10-$16 All In Sustaining Cost level now, but there always additional costs that chew through more money than those number indicate, so I like to throw on an extra buck or two to factor that in. It will be even more constructive for companies in the $18-$20+ level, as they’ll really be making some cheddar at that level. OK – How about at $19.43 -$19.43 for the year of the Steel penny. That actually has nothing to do with Silver, but can symbolize manufacturing growth and the industrial side of demand growth for Silver, (paired with it’s precious monetary nature). It’s just a fun target to shoot for by maybe first quarter 2018. Those levels would be a step in the right direction but many have thought these sorts of prices were constructive in the past only to see them break down and silver to erase its gains into negative territory. Early 2014 price was $22oz. July last year price got above $21oz. We know what happened after that. Hence why I remain cautious until silver can break long term resistance that was formerly support in the bull market years: $26oz, give or take a few cents. Ultimately until that eventuates, I think silver (and gold by default) are still just making up ground from all the unwound damage dating back to 2013. Make no mistake though, these last two days have been promising. Hopefully the PMs can build a good base here and continue upwards. That’s a good point. 2013 was a dismal year in the PMs and that is where the chart damage really was inflicted across the sector. Yes, at $26 Silver the miners will be chugging right along, and I could see that 2 years out. “What’s interesting about today’s action is that [gold]’s moving inversely to the [stock] market,” the managing director of Louise Yamada Technical Research Advisors said.